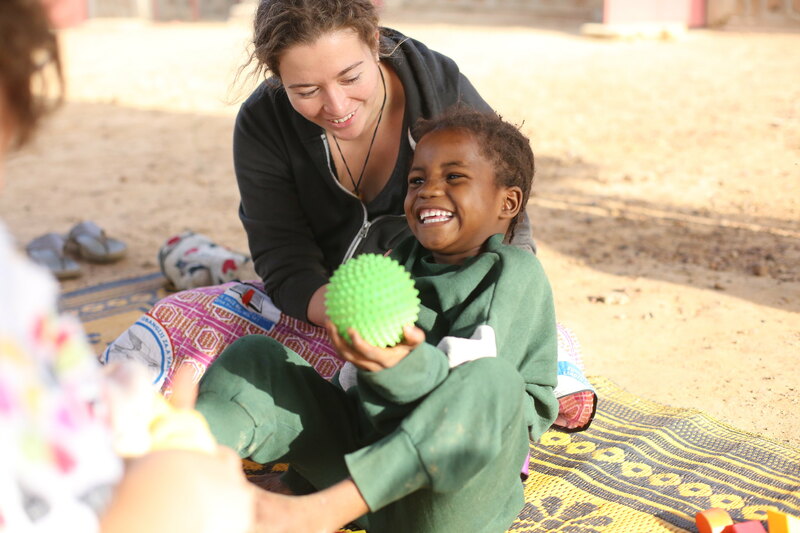 Occupational therapist Amy Griffiths demonstrates an occupational therapy device during the first-ever camp for children with disabilities at Galmi Hospital this past February - Photo courtesy of Deb Knight. 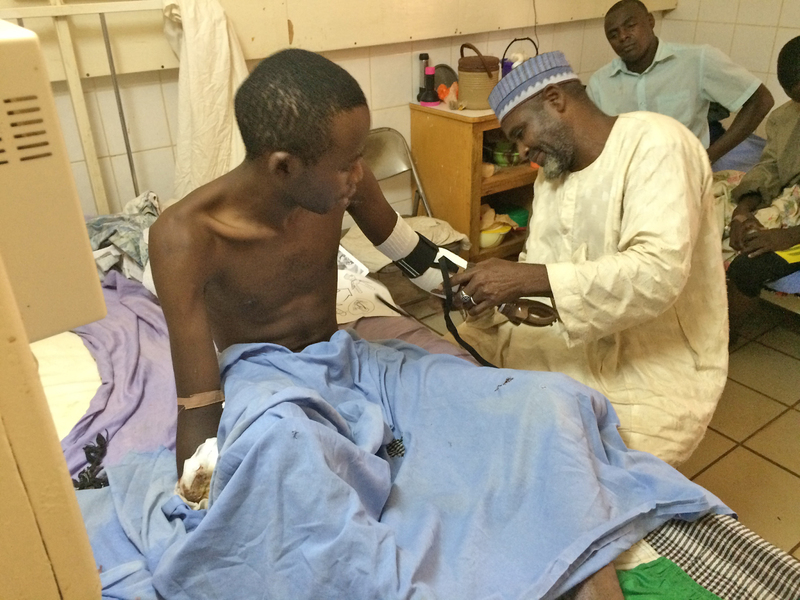 Amir thought all hope was lost when his hands had to be amputated, but after his prosthesis was fitted at Galmi Hospital, he regained his motor skills and independence - Photo courtesy of Deb Knight. 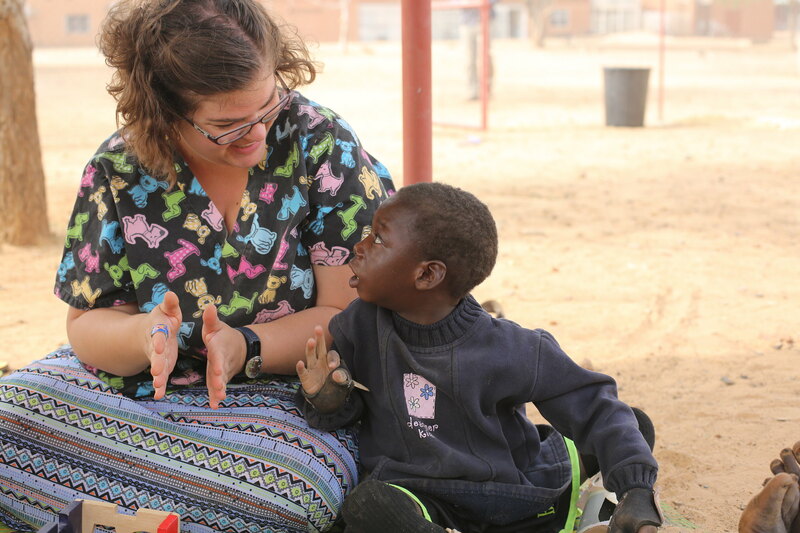 Deb and her team (Justine Rehak, pictured) realized at their camp in February that it isn't only the children who need support for their disabilities, but also their mothers, especially in a culture where disability is associated with shame - Photo courtesy of Deb Knight. Download a plain text version of this story here.